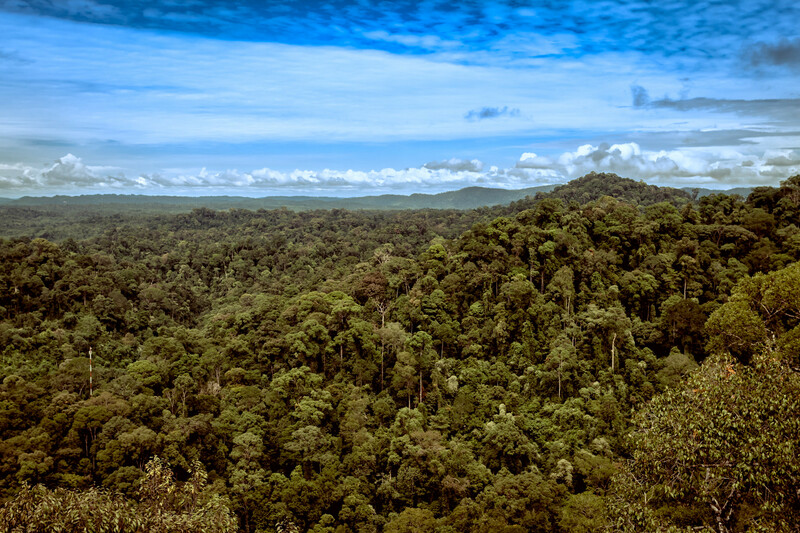 Brunei Darussalam (literally, “The Abode of Peace”) is a tiny yet wealthy country in the northwestern coast of Borneo. 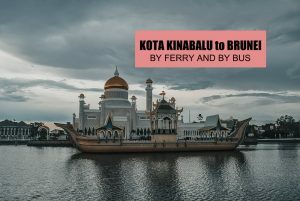 Brunei travel surprised me – its serenity, order, sense of space and grandiose structures and towering minarets adorning the city proper of Bandar Seri Begawan (BSB) left me in awe! Brunei has one of the oldest reigning monarchy in the world and is almost an absolute monarchy with Sultan Hassanal Bolkiah. The country has virtually low crime rate and has a high standard of living compared to its neighboring countries in South East Asia, not to mention a relatively high employment level. Much of this is owed to the considerable oil and gas deposits of Brunei. Brunei Darussalam is divided into four districts: Brunei Muara (home to Brunei’s capital –Bandar Seri Begawan also called BSB or Bandar), Tutong, Belait and Temburong. I only had the luxury to tour Brunei Muara though. Here’s my blog of list of top tourist attractions in Brunei. Will also post a Brunei Travel Guide blog soon. Many of Brunei attractions are concentrated within the city center and can be reached by just walking or book hassle free Brunei Full Day City Tour + Water Village Tour with Lunch here. 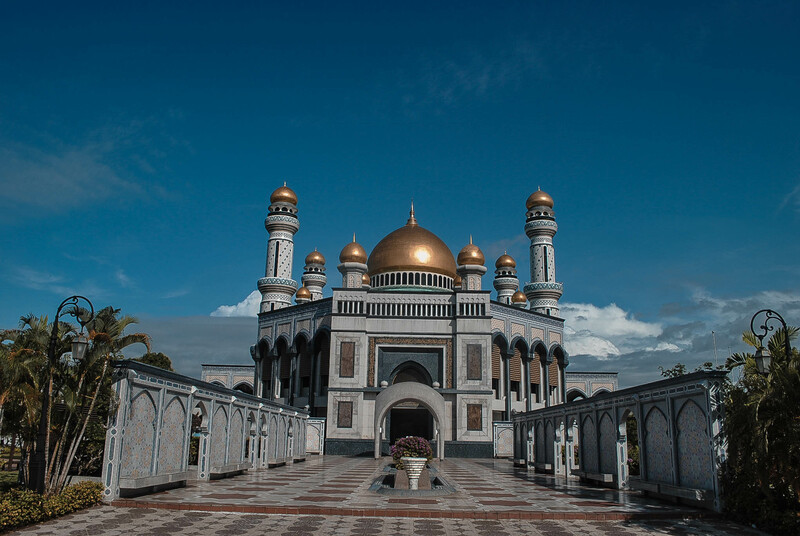 When you hear BRUNEI TOURS there’s one structure that comes to mind – the majestic OMAR ALI SAIFFUDIN MOSQUE, known to tourists as Brunei Mosque, the most famous tourist attraction in this rich Islamic country. 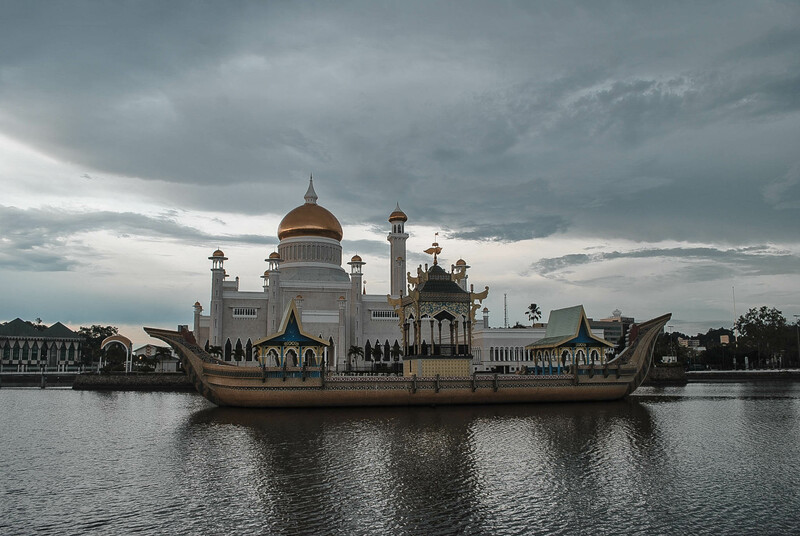 This impressive structure with golden dome is a symbol of the strong Islamic faith of the Brunei people taking its inspiration from contemporary architecture and classical Islamic style. 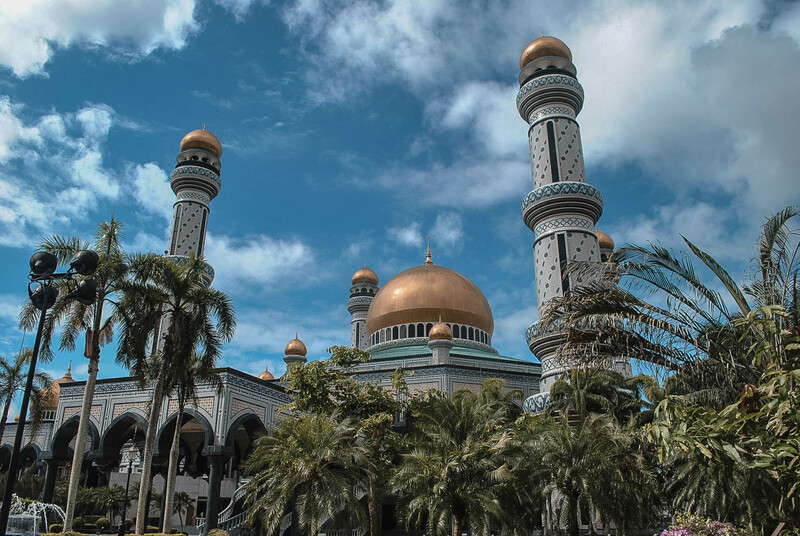 This neck-swiveling mosque is located at the very heart of the Brunei capital city – Bandar Seri Begawan or BSB near the Kampong Ayer water village. Non-Muslim tourists can enter the mosque, wear proper outfit. Hijab (headscarf that hides the hair, neck and ear, only the oval shape of the face is visible) as well as abaya and jilbab are available at the mosque’s entrance. Tourists can borrow the outfit to enter the Brunei Mosque. KAMPONG AYER water village was dubbed as the “Venice of the East” by the Spaniard colonizers and Brunei’s most important heritage, offering tourists a glimpse of Brunei’s old-fashion Asian charm. 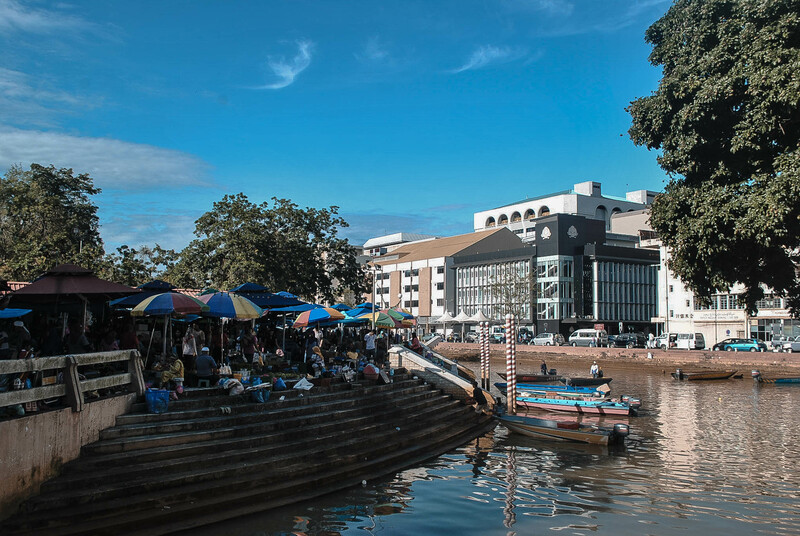 It is the largest water village in Southeast Asia surviving hundreds of years. In fact, even the government’s attempt to transfer its residents to dry lands by building modern housing schemes have failed. 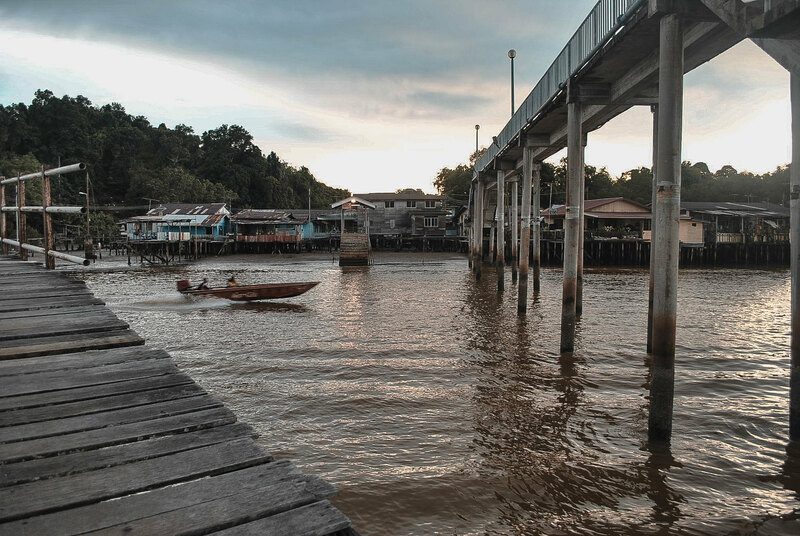 The stilt houses with wooden walkways situated in Brunei River are linked villages, and can be reached by water taxis, its primary mode of transportation. You can book a Kampong Ayer Tour here The Kampong Ayer Village Tour includes a visit to Kampong Ayer Cultural and Tourism Gallery, followed by a tea break at a private local home. Brunei History Center is located along Jalan Sultan (jalan means street) and was established to do research, to collect, study, publish and exhibit the History of Negara Brunei Darussalam. 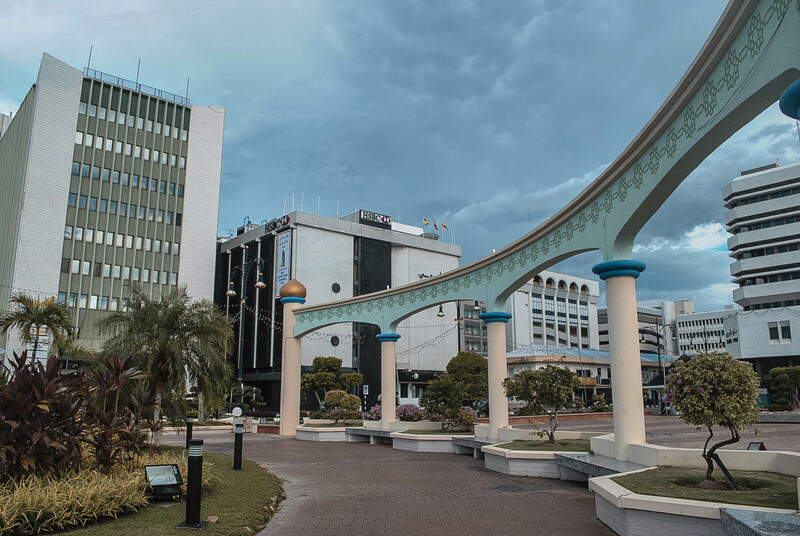 The circular ROYAL REGALIA BUILDING that is lavishly carpeted and made up of marble is also located at Jalan Sultan beside Brunei History Center. It houses an extraordinary collection of priceless Royal Regalia, including crowns, silver sailboat courtesy of the Maldives, a magnificent coronation carriage (usungan) and a replica throne and also contains an exhibition of the life of the current Sultan. Tamu Kianggeh which is situated on the banks of the Kianggeh River in front of the Chinese Temple is the daily produce market in Bandar, Brunei. If you wish to relish the delicacies of Brunei, this market is a good place to start, not to mention it is cheap. I went around and was happy to find some “Filipino Mangoes” being sold here. Some Bruneian food that can be found here are satay, pais, liking, belutak laplap, kuih,etc. It is also interesting to note that just like in Kota Kinabalu, there are many Filipino workers in Bandar Seri Begawan. IMPORTANT: Brunei Museum is currently CLOSED for renovation until further notice. Brunei Museum is located along the Brunei River and like any other museums, it is rich with ancient artifacts. An interesting gallery here is the Oil and Gas Gallery (Brunei is a country rich in oil and gas) and of course the highlight, the luxurious Islamic Art Gallery. 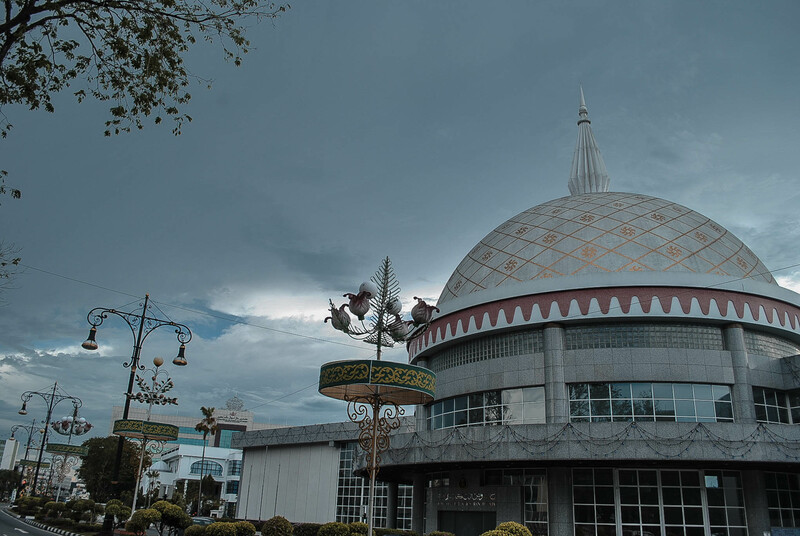 Along the way to Brunei Museum, you will pass by the Arts and Handicrafts Centre where they provide trainings for Brunei youths who are interested in Brunei traditional arts and handicrafts like weaving, basketry, bamboo-working, brass-casting and crafting of kris, traditional dagger. Friday- 9:00 AM -11:30 AM AND 2:30 AM – 5:00 PM Admission is free. They say that a visit to Brunei won’t be complete without seeing the opulent Empire Hotel and Country Club. Visitors who aren’t hotel guests can tour around some of the complex in the hotel (there’s a free buggy tour during Friday from 10:00 am – 11:00 am), eat in the restaurants here (but be wary of the expensive price), but you need to pay BND 10 / PHP 351 / USD 14 to swim in the pool. Malay traditions are Brunei’s cultural root, but Islam is its heart. The most striking and the biggest mosque in Brunei is Jame Asr Hassanal Bolkiah Mosque, also called Kiarong mosque by the locals, is located in Kampung Kiarong. Take Circle bus#01 and #55 from Bandar Seri Begawan’s bus terminal to Gadong. The Istana Nurul Iman Palace is the house of the Sultan and the seat of Brunei Government. The royal residence is said to be the biggest of its kind in the world, bigger than London’s Buckingham Palace, with about 1,788 rooms. It is interesting to note that the architect of this elegant mansion is a Filipino National Artist – Leandro Locsin. Another top attraction Brunei that I failed to visit is the Jerudong Park Play Ground, said to be the largest and most expensive amusement park in South East Asia funded by Brunei Government. Beyond the Brunei Museum to Muara district are popular beaches in Brunei, namely Muara Beach, Meragang Beach also called Crocodile Beach and Serasa Beach. Muara Beach has a long stretch of sand and ideal for leisurely walk, however, most hawker stalls are open only during weekends (it’s a popular weekend getaway for locals). Crocodile Beach is also good for leisurely walk and a good spot to watch Brunei sunset. Serasa Beach on the other hand is a water-sports complex – tourists can do sailing, windsurfing, and water-skiing here. Now moving north to Jalan Tasek Lama, about 5 minute walk from the Tamu Kianggeh is a small serene park called Tasek Lama Park. The main attraction here is the small waterfall, there’s a playground for the kids and a garden. Ganda ng mga shots mo Gael, sana makadaan kami dito this Sept kahit one day lang. i hate brunei. my girlfriend went there and came back pregnant with a fellow ofw. Your 2nd pic is outstanding! Very rich in color and the angle is terrific. The mosque looks very majestic. What camera do you use? hi Angela. thanks! =) it’s Nikon. Among Southeast Asian countries, Brunei seems to be the one that’s rarely visited and thus remains a bit of a mystery (hardly any news comes out from there). 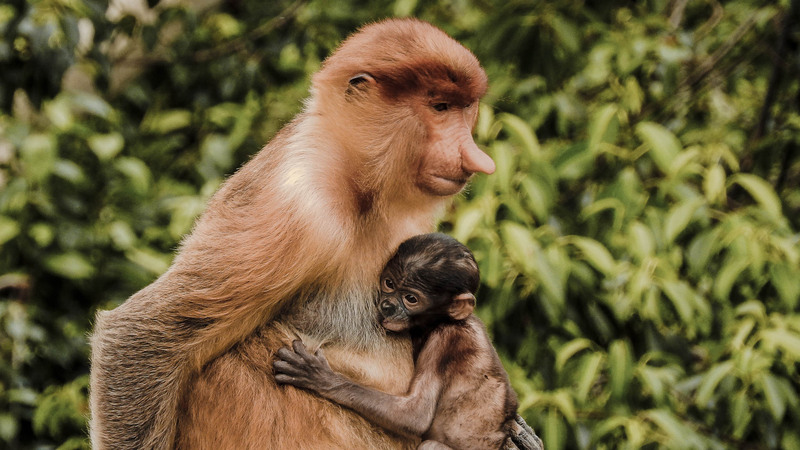 I’d like to add this as a side trip if ever I go to Borneo. hahaha kuya, 2nd year na ako ngayon, ginagawan ko parin ng research ang brunei. we passed on the water village when we went to brunei back in 2005 enroute to auckland, new zealand. maliit pa kasi si gabby noon, 4 months pa lang and we’re not sure of the water taxi though. nakakatuwa lang kasi puro airconditioned ang huts and houses sa water village despite they’re on stilts and above water, ayos ang supply ng kuryente! nakaikot din kami sa loob ng royal regalia museum and my the most remarkable on display for me there was the golden chin rest. yung bang patungan ng baba ng royalty pag napagod na sila sa parada, haha! pati iyon ginto! and of course, the 24-hour airconditioning of the sultan’s mosque. kakaiba! i also find unforgettable, that empire hotel na puro ginto din. no we didn’t check in there, kasama lang sa city tour. fabulous captures here, gael! ang husay particularly the 2nd photo! Hi Atty. I’ll pm you nlng. I have a list po of midrange hotels. Wala pa akong post eh. I stayed at KH Soon Resthouse, it’s near the HSBC building and the bus station and fronting the posh Brunei Hotel. are these mosque in Brunei allows taking pictures of its inside architecture… they’re all admirable. no Ian. no photography allowed inside. Will greatly appreciate your help! 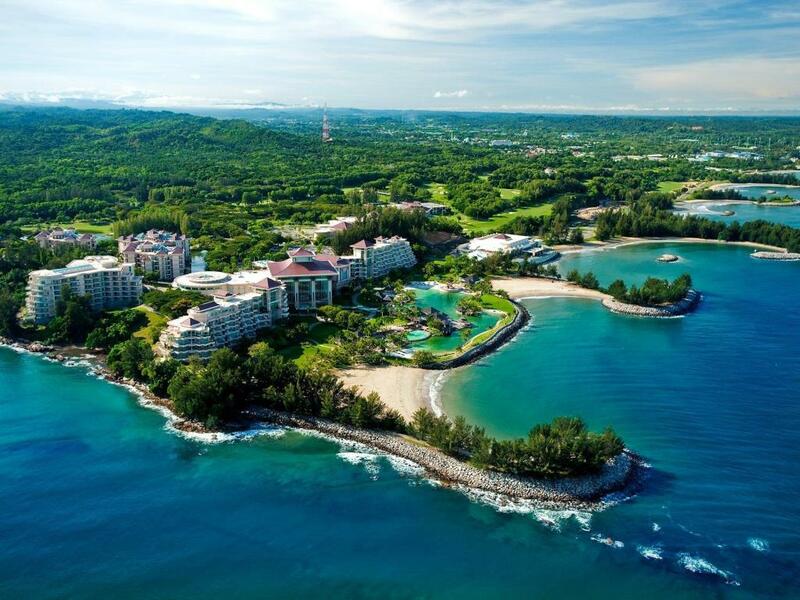 I’m planning to go to Brunei next month, in what Hotel did you stay? Any suggestion please? 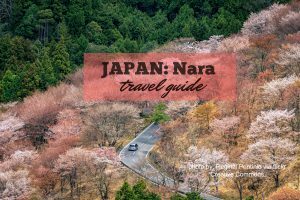 how to book a city tour? how much? what are cheap accomodations? I always visit your blog whenever we have out of the country tour with my barkada. Super helpful sya. 🙂 Thanks for that Madam! Anyways I just want to confirm if we can really use the pool in the Empire Hotel and Country Club as long as we pay 10 BND kahit di kami guest ng hotel? Thanks for your help! Great article! Thanks for the information. How long did you stay in Brunei?